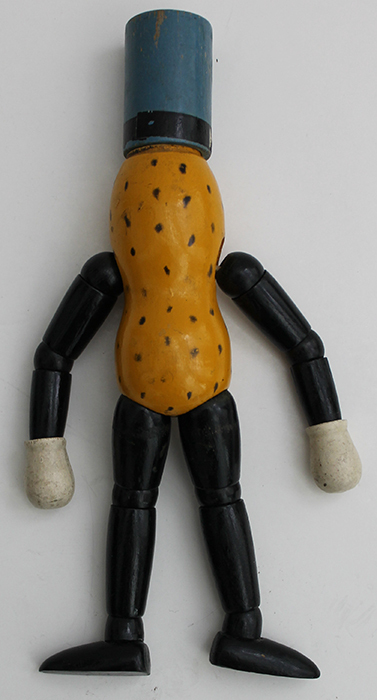 ARTIFACT: Great vintage 1930�s Mr. Peanut articulated wooden doll. 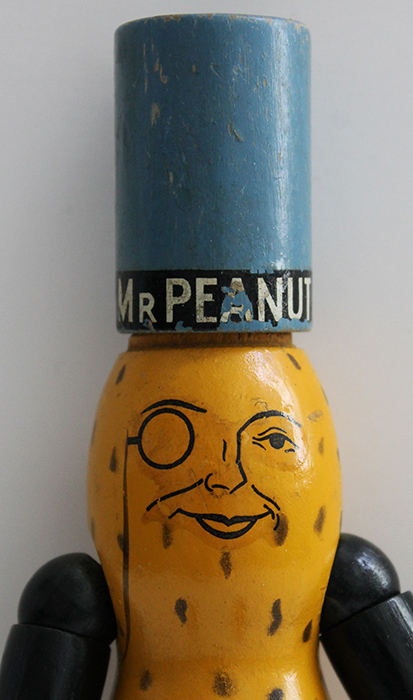 The doll is painted to resemble the iconic advertising, top hat wearing Mr. Peanut. His blue top hat reads: �MR. PEANUT� and is nicely detailed, though missing the brim. 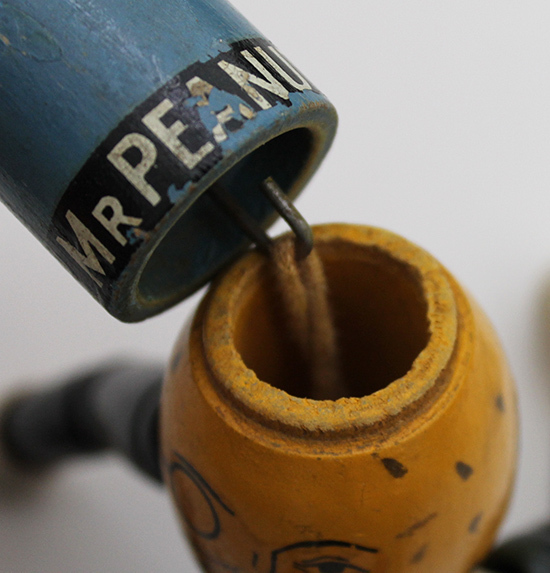 CONDITION: 7+ (Very Fine+): Mr. Peanut shows moderate wear, is missing his hat brim and cane, nearly all the painted details remain intact, overall very fine condition.